Most readers will already know about my love of Vietnamese Banh Mi, on a weekend I can often be found negotiating the masses at Nhu Lan in Footscray. 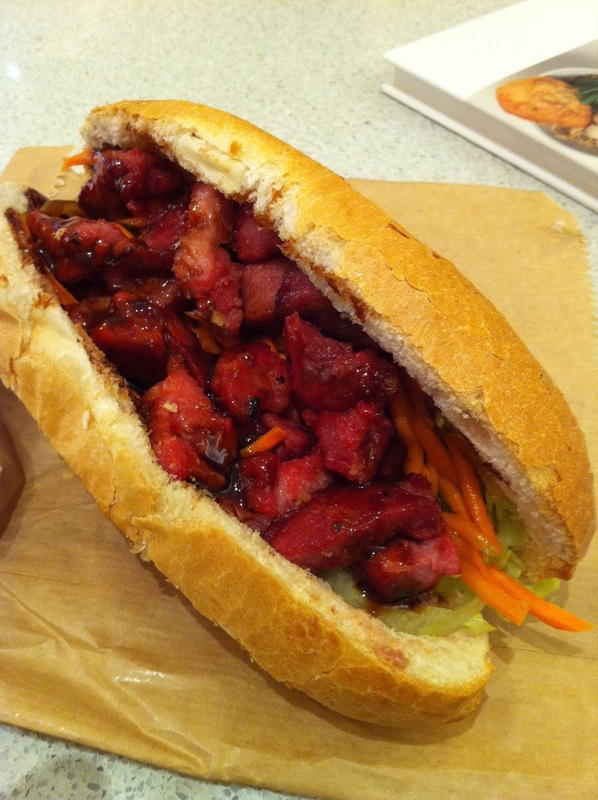 I often lament the lack of a decent CBD Banh Mi option. Actually I lament the fact that my office isn't located in Footscray! Imagine the lunch options.... N Lee are the standard CBD banh mi provider and they do a pretty good job of the simple sliced pork roll banh mi and also quite a good meatball option and I don't mind paying the $6.50 which many see as an exorbitant price for banh mi but I justify it that it stacks up pretty well against the price of a standard meat and salad roll and punches out about 10 times the flavour. I was recently tipped off (Thanks Amy!) 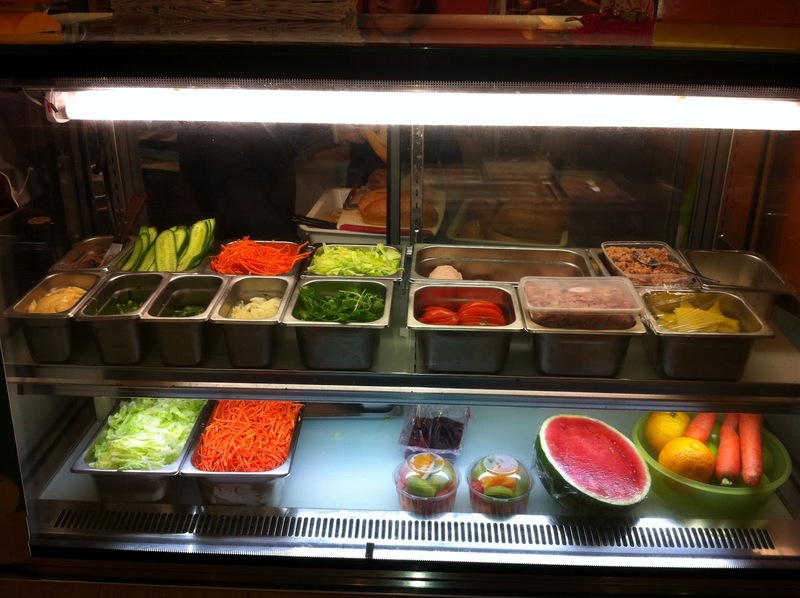 about a new CBD banh mi player in a little foodcourt at the Spencer Street end of Collins street (546 Collins to be exact). The day after receiving the recommendation I headed down there to check it out. The place is called Speedy's and they offer 6 different choices of banh mi but the special players for me are the grilled chicken and grilled pork. You can't get these anywhere else in the CBD so it's worth a visit just to try them out. All rolls are $4.90 which is pretty competitive and they also have a combo can of drink deal for $6.50. There is also a smoothie combo deal for $9.95. I opted for the grilled pork and was very pleased that I did. My roll was packed full of pork which is a nice change from Nhu Lan where they are a bit more traditionally skimpy with the meat. I say traditionally I as I must have eaten a dozen different versions of banh mi when we were in Vietnam and all of them were totally wonderful but light on the meat. 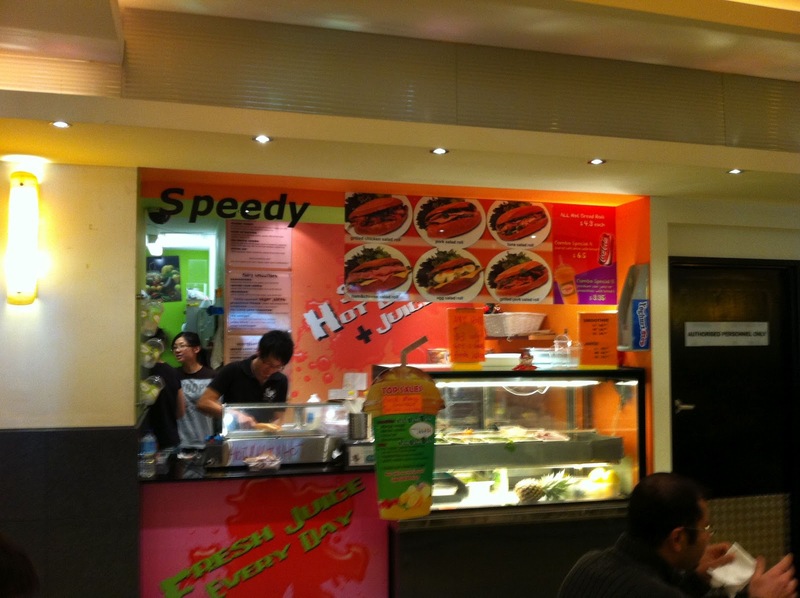 I also really liked that Speedy used a Nuoc Mam sauce rather than the N Lee style Maggi seasoning compromise. It just doesn't cut it for me and given that Nuoc Mam is so easy to make and really sets off a banh mi the use of Maggi seasoning doesn't make sense. The only downside to the Speedy Banh Mi offering was the roll, it was not quite as good as N Lee and therefore even further short of the high quality crispy and crunchy but still soft inside offering of Nhu Lan. This isn't a deterrent though, the Speedy product is of a high standard and definitely worth the $4.90. 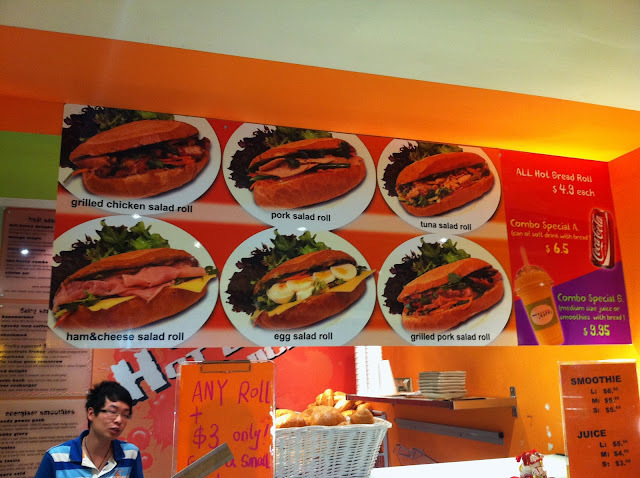 I have a feeling that on a different day the roll might have more freshness and the banh mi would be that much better for it. Nhu Lan rolls are the benchmark in my opinion so its tough to make the comparison, especially as Speedy's clearly don't have the room or scale of operation to bake their own. As I don't work in Footscray and often crave banh mi I'm more than happy to make this small compromise.